Cathcart Auto Parts Ltd. is committed to offering guaranteed top quality used auto parts and other service products at a fair price keeping our customers 100% satisfied. 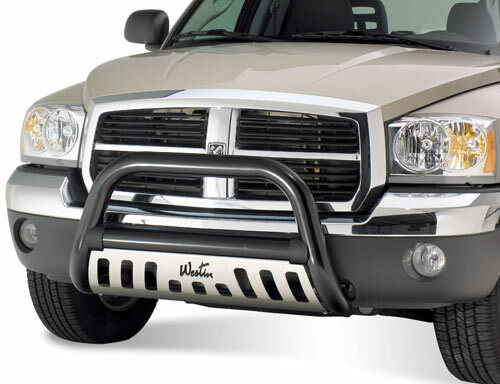 The Bull Bar adds extra front end protection, maximum ground clearance and the perfect finishing touch for your truck or SUV. Come in to Cathcart today for pricing & availability. We sell all this and more right here at Cathcart Auto Parts. 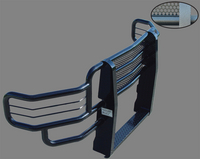 Once piece, fully welded grille guard made for on or off-road use. 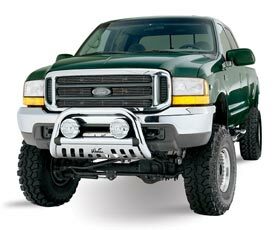 The outside portion of the bumper is constructed of seven gauge smooth steel, the center section and skid plate are made of 1/4 inch heavy duty smooth steel. We use schedule 40 pipe that includes four light tabs that hold up to 6" lights. This unit comes with heavy duty mounting brackets for extra strength. Offers and easy "no drill", hassle free installation. Unit will accomodate tow hooks and your liscense plate. The finish is a textured black powder coat that provides extra resistance to dings and scratches. Offers the highest ground clearance than other brands. You sometimes take your truck places where you need extra protection from road debris and off-road brush. When you do, you need the Rancher Grille Guard™ for full size trucks and SUVs from Go Industries for total protection anywhere you take it! 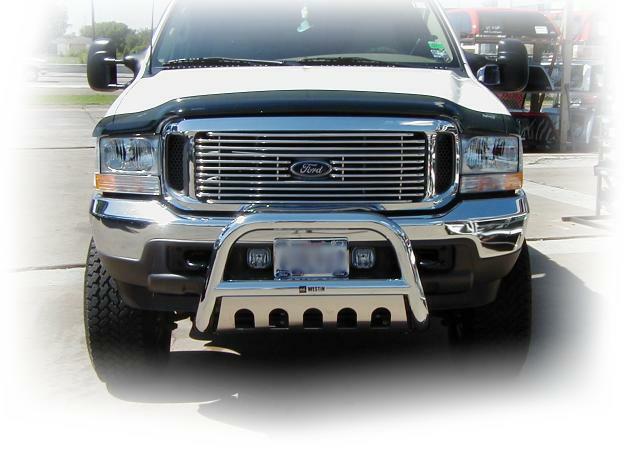 Go Industries' one-piece, fully welded Rancher Grille Guard provides the maximum front end protection for the headlight and grille areas of your truck or SUV. 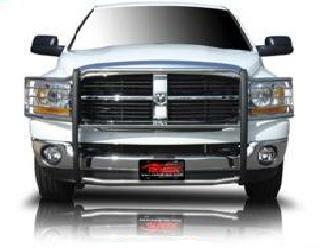 This grille guard is constructed of 1.9", 14 gauge steel tubing and one-quarter inch, laser-cut steel uprights. The center section is 16 gauge steel with one-half inch punched holes. 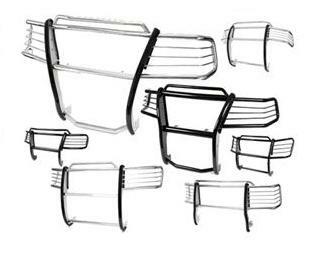 Each Rancher Grille Guard is designed specifically for each vehicle model, contouring to the lines of the vehicle while providing an easy, no drill, hassle-free installation. Go Industries designed the no-drill mounting bracket system to utilize existing holes in the frame for extra strength, rigidity, no vibration and retain your tow hooks on all applications.